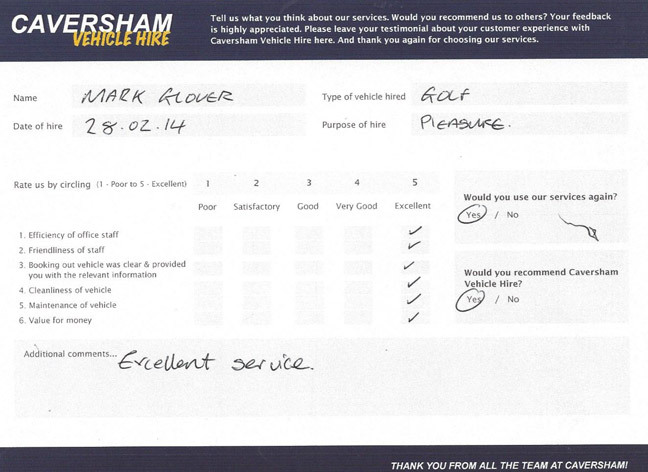 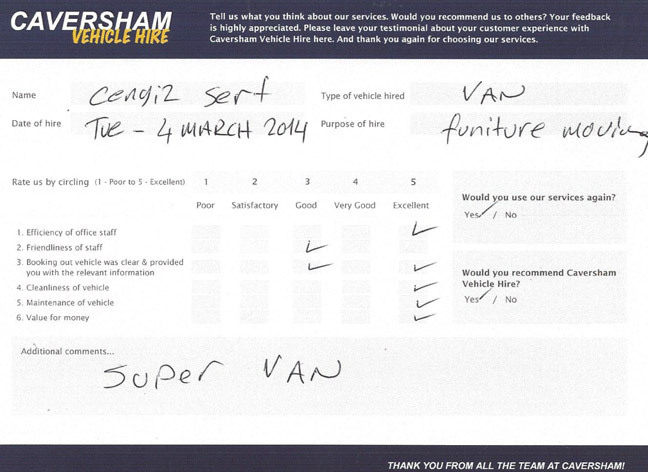 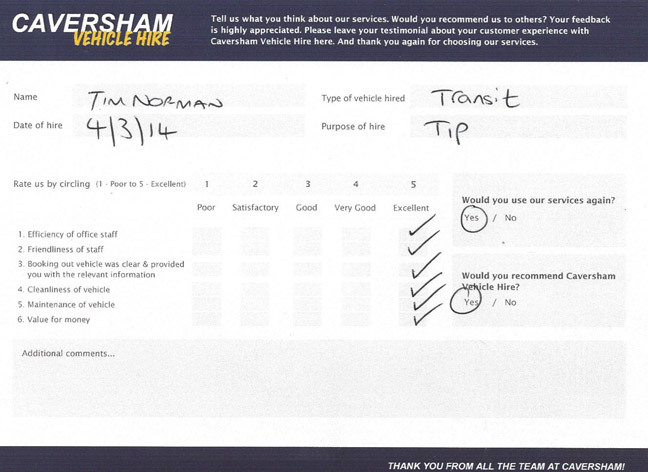 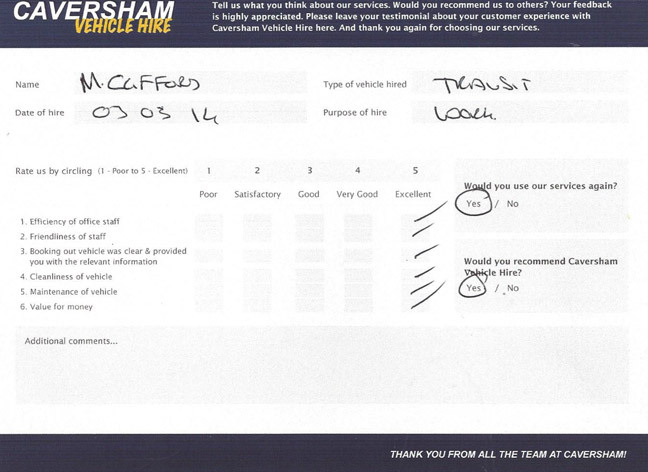 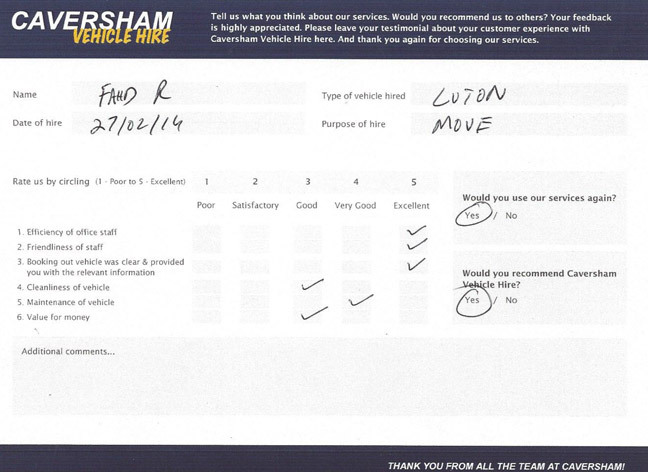 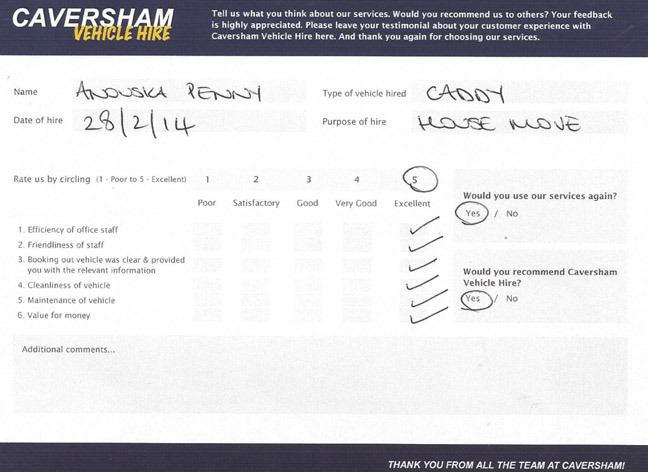 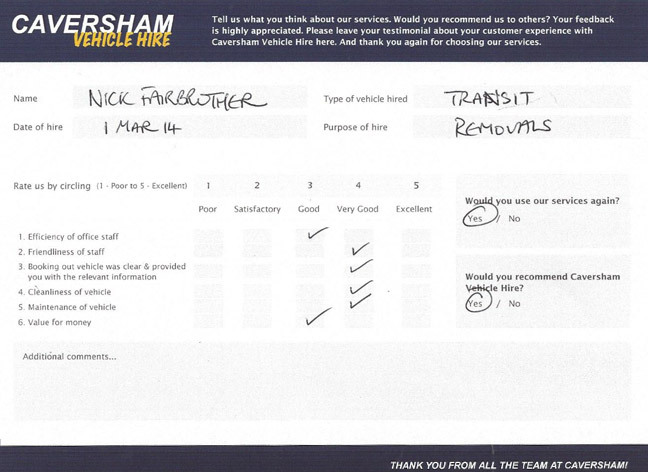 Here at Caversham Vehicle Hire we strive to provide excellent customer service across Reading and Newbury. 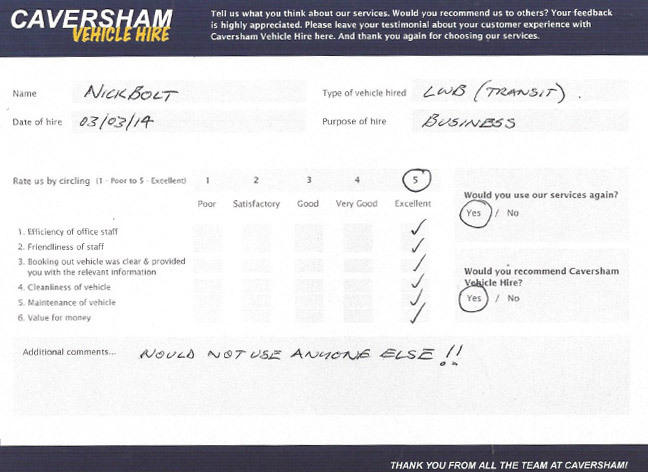 But don’t just take our word for it, have a look at our client testimonials to see what previous users of our services think! 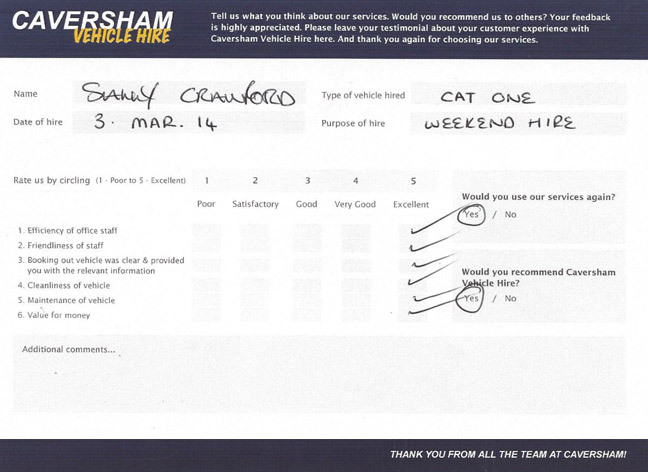 Click the thumbnails below to view full testimonial.